The official 2017-2018 DVSA driving test pass rates and addresses for your local driving test centres Central Scotland. Want to know the most recent 2018 driving test pass rates for your local practical driving test centre? Please remember to check your confirmation letter or email for any changes to your test centre address in Central Scotland prior to your test. Date updated: 1st October 2018. Dumbartonshire DVSA Practical Test Centres. 2017-2018 Car Pass Rate 51% or by simply using The Driving Test Secret you can this increases to 76%*, what are you waiting for? Want to pass your driving test 1st time? Click here for information on how you can pass your driving test 1st time by using DVSA ADI devised The Driving Test “SECRET”. East Lothian DVSA Practical Test Centres. Additional information: Car parking spaces are available. There is Wheelchair access to this test centre. Driving Test Pass Rates Haddington Driving Test Centre. 2017-2018 Car Pass Rate 65.4% or by simply using The Driving Test Secret you can this increases to 90.4%*, what are you waiting for? Want to pass your driving test 1st time? Click here for information on how you can pass your driving test 1st time by using DVSA ADI devised The Driving Test “SECRET”. Renfrewshire DVSA Practical Test Centres. Additional information: Toilet facilities are available (Male only). Driving Test Pass Rates Greenock Driving Test Centre. 2017-2018 Car Pass Rate is only 43.2% or by simply using The Driving Test Secret you can this increases to 71.2%*, what are you waiting for? Want to pass your driving test 1st time? Click here for information on how you can pass your driving test 1st time by using DVSA ADI devised The Driving Test “SECRET”. This phone number is only to be used to check if a test is due to take place in the event of bad weather. The test centre staff do not have access to the booking systems and are therefore unable to book, alter or check times of the practical driving test. Driving Test Pass Rates Paisley Driving Test Centre. 2017-2018 Car Pass Rate is only 46.1% or by simply using The Driving Test Secret you can this increases to 71.1%*, what are you waiting for? Want to pass your driving test 1st time? Click here for information on how you can pass your driving test 1st time by using DVSA ADI devised The Driving Test “SECRET”. Ayrshire and Arran DVSA Practical Test Centres. Additional information: Toilet facilities are available. Please note there are no car parking spaces available. Driving Test Pass Rates Ayr Driving Test Centre. 2017-2018 Car Pass Rate is only 45.5% or by simply using The Driving Test Secret you can this increases to 70.5%*, what are you waiting for? Want to pass your driving test 1st time? Click here for information on how you can pass your driving test 1st time by using DVSA ADI devised The Driving Test “SECRET”. Driving Test Pass Rates Brodick Driving Test Centre. 2017-2018 Car Pass Rate is only 62% or by simply using The Driving Test Secret you can this increases to 87%*, what are you waiting for? Want to pass your driving test 1st time? Click here for information on how you can pass your driving test 1st time by using DVSA ADI devised The Driving Test “SECRET”. Additional information: Toilet facilities are available. There is No wheelchair access to this test centre. Driving Test Pass Rates Cumnock Driving Test Centre. 2017-2018 Car Pass Rate is only 55.1% or by simply using The Driving Test Secret you can this increases to 80.1%*, what are you waiting for? Want to pass your driving test 1st time? Click here for information on how you can pass your driving test 1st time by using DVSA ADI devised The Driving Test “SECRET”. Girvan Practical Driving Test Centre. Driving Test Pass Rates Girvan Driving Test Centre. 2017-2018 Car Pass Rate 63.1% or by simply using The Driving Test Secret you can this increases to 88.1%*, what are you waiting for? Want to pass your driving test 1st time? Click here for information on how you can pass your driving test 1st time by using DVSA ADI devised The Driving Test “SECRET”. Century Court, 11 Riverside Way Riverside Business Park Irvine KA11 5DJ. Additional information: Toilet facilities are available. Car parking spaces are available. Driving Test Pass Rates Irvine Driving Test Centre. 2017-2018 Car Pass Rate is only 53.1% or by simply using The Driving Test Secret you can this increases to 78.1%*, what are you waiting for? Want to pass your driving test 1st time? Click here for information on how you can pass your driving test 1st time by using DVSA ADI devised The Driving Test “SECRET”. Lanarkshire DVSA Practical Test Centres. Additional information: Toilet facilities are available. There is Wheelchair access to this test centre. Driving Test Pass Rates Airdrie Driving Test Centre. 2017-2018 Car Pass Rate is only 47.7% or by simply using The Driving Test Secret you can this increases to 72.7%*, what are you waiting for? Want to pass your driving test 1st time? Click here for information on how you can pass your driving test 1st time by using DVSA ADI devised The Driving Test “SECRET”. Car parking spaces are available. There are only Male and disabled toilets available. You can access the test centre in a wheelchair. Motorcycle module 2 (on-road) Are also available at this test centre. Driving Test Pass Rates Hamilton Driving Test Centre. 2017-2018 Car Pass Rate is only 46.5% or by simply using The Driving Test Secret you can this increases to 71.5%*, what are you waiting for? Want to pass your driving test 1st time? Click here for information on how you can pass your driving test 1st time by using DVSA ADI devised The Driving Test “SECRET”. Driving Test Pass Rates Lanark Driving Test Centre. 2017-2018 Car Pass Rate is only 52.3% or by simply using The Driving Test Secret you can this increases to 77.3%*, what are you waiting for? Want to pass your driving test 1st time? Click here for information on how you can pass your driving test 1st time by using DVSA ADI devised The Driving Test “SECRET”. City of Edinburgh DVSA Practical Test Centres. Driving Test Pass Rates Edinburgh (Currie) Driving Test Centre. 2017-2018 Car Pass Rate is only 48.8% or by simply using The Driving Test Secret you can this increases to 73.8%*, what are you waiting for? Want to pass your driving test 1st time? Click here for information on how you can pass your driving test 1st time by using DVSA ADI devised The Driving Test “SECRET”. Driving Test Pass Rates Edinburgh (Musselburgh) Driving Test Centre. 2017-2018 Car Pass Rate is only 46.9% or by simply using The Driving Test Secret you can this increases to 71.9%*, what are you waiting for? Want to pass your driving test 1st time? Click here for information on how you can pass your driving test 1st time by using DVSA ADI devised The Driving Test “SECRET”. City of Glasgow DVSA Practical Test Centres. Male and female toilets are available at this centre. If you have a disability please advise the DVSA when booking your test so that arrangements can be made regarding access to the test centre. Driving Test Pass Rates Glasgow (Anniesland) Driving Test Centre. 2017-2018 Car Pass Rate is only 39% or by simply using The Driving Test Secret you can this increases to 64%*, what are you waiting for? Want to pass your driving test 1st time? Click here for information on how you can pass your driving test 1st time by using DVSA ADI devised The Driving Test “SECRET”. Driving Test Pass Rates Glasgow (Baillieston) Driving Test Centre. 2017-2018 Car Pass Rate is only 42.8% or by simply using The Driving Test Secret you can this increases to 67.8%*, what are you waiting for? Want to pass your driving test 1st time? Click here for information on how you can pass your driving test 1st time by using DVSA ADI devised The Driving Test “SECRET”. There are no parking spaces are available at the test centre. Male, female and disabled toilets are available. There is access to this test centre by wheelchair. Motorcycle, Taxi and ADI tests are also carried out at this test centre. Driving Test Pass Rates Glasgow (Shieldhall) Driving Test Centre. 2017-2018 Car Pass Rate is only 37.6% or by simply using The Driving Test Secret you can this increases to 62.6%*, what are you waiting for? Want to pass your driving test 1st time? Click here for information on how you can pass your driving test 1st time by using DVSA ADI devised The Driving Test “SECRET”. Driving Test Pass Rates Glasgow (Knightswood) Driving Test Centre. 2017 Car Pass Rate is only 42.2% or by simply using The Driving Test Secret you can this increases to 67.2%*, what are you waiting for? Want to pass your driving test 1st time? Click here for information on how you can pass your driving test 1st time by using DVSA ADI devised The Driving Test “SECRET”. * Want a higher pass rate? 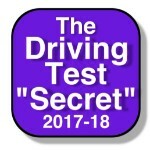 increase this too –% higher (driving test centre pass rate) by using The Driving Test “Secret” is based on the findings of an experienced DVSA ADI who saw their pupils pass rate increase by over 25% when they started recommending the Driving Test Secret & Secret Revision Cards to all of their pupils. 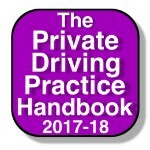 The routes listed are the lastest routes the DVSA published by your local test centre. As the DVSA have currently stopped publishing new routes the routes and even in some instances the test centre location may have changed. The DVSA no longer openly publish these figures on their website, however, we have been able to obtain these official figures and have published them here as we feel they are of interest to anyone wanting to take their practical driving test.